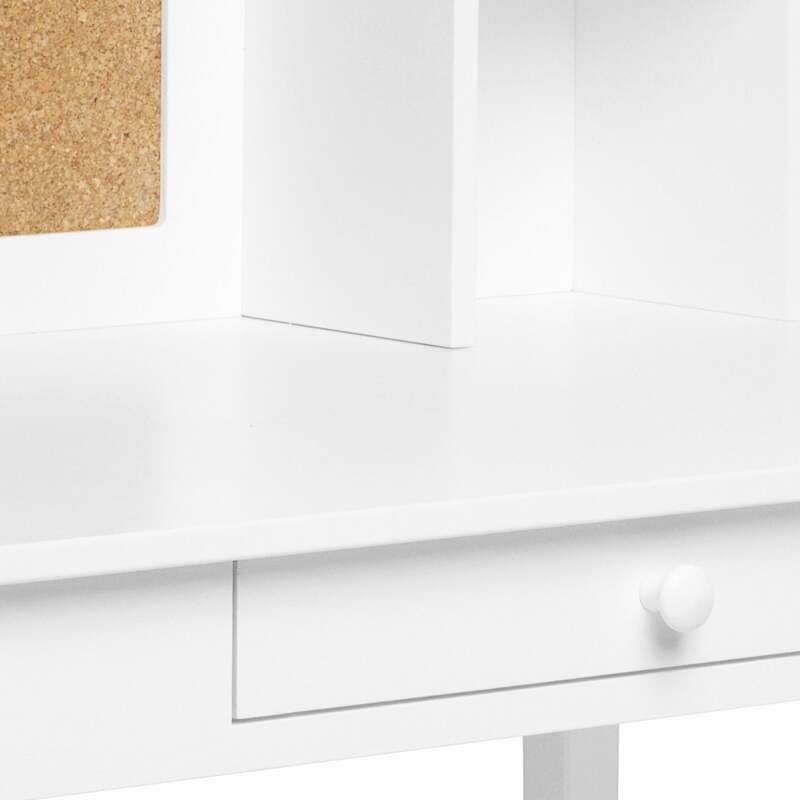 Junior Whittington Desk | Great Little Trading Co.
Made from: Solid Wood frame and MDF panels and corkboard. Painted Finish. 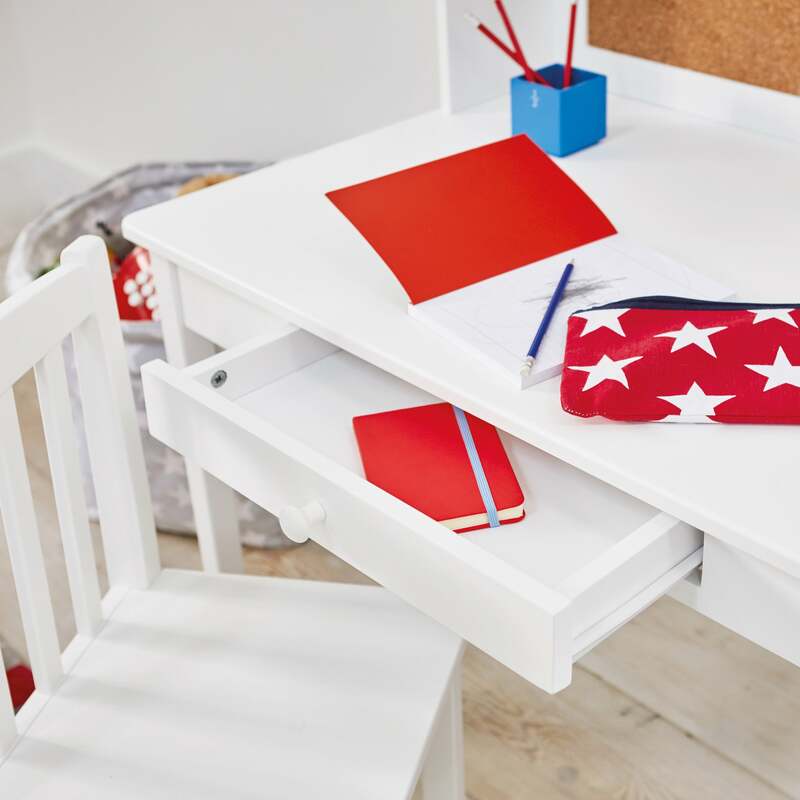 This smart, space-efficient children's desk is ideal for children aged between 3 and 8 yrs. It's finished in White. There are storage shelves and a corkboard back panel, plus an opening for cables and a central, storage drawer. As kids' desks go, this one is the cream of the crop.